Super Falcons striker Rasheedat Ajibade has reportedly signed for Norwegian side Avaldsnes Idrettslag from RC Robo Queens of Lagos busybuddiesng.com understands. Reports suggest the 19-year-old forward has signed a two-year deal with the Norwegian side who finished in 9th place in the 12-team Toppserien, the first tier of Norwegian women’s football. Ajibade’s move to Norway marks the end of a nine-year stay at FC Robo Queens where she began her professional football career. The striker has enjoyed a steadily rising profile on the domestic football scene emerging the top scorer in the 2017 season of the Nigerian Women Professional League and winning the 2018 best young player at the Aiteo/NFF awards earlier in the year. 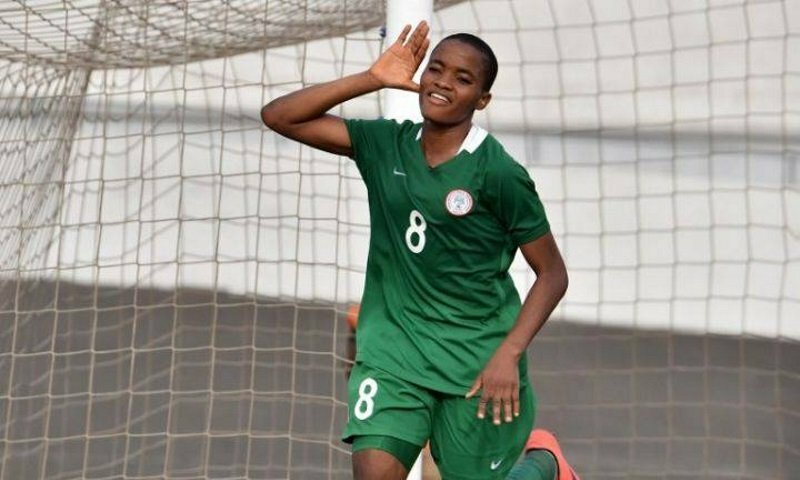 She made a goalscoring competitive debut for the Super Falcons against Bayana Bayana of South Africa in the opening Group B fixture at the 2018 African Women Cup of Nations and has also featured for the U-17 and U-20 age grade teams and was also a part of the team that competed at the 2018 West African Football Union (WAFU). Ajibade joins a club that has been on the rise in recent years since they gained promotion to the top flight from the 1.Division Women in 2012. The Norwegian team also known as Avaldsnes IL play at the 1000 capacity Avaldsnes Idrettssente and secured consecutive runners-up spot in the league in 2015, 2016, and 2017 before a disappointing 9th place finish in 2018. They also won the domestic cup NM Cupen Women in 2017 after suffering losses in the 2013 and 2015 cup finals. The 2019 Toppserien season kicks off in March with Avaldsnes away at the Klepp Stadion where they play Klepp who were runners up in the Toppserien in 2018.